Amazon is planning to launch its own private-labeled bras in the US, likely within the next several weeks, according to the Wall Street Journal's Khadeeja Safdar and Laura Stevens. The products are expected to be priced around $10, significantly lower than the bras sold by Victoria's Secret, one of the leading companies in the market which typically sells bras for around $40. Amazon already sells its own line of lingerie products in the UK under the brand Iris & Lilly. The launch of its own lingerie brand in the US is Amazon's latest move in to the fashion retail space. Last year, Amazon quietly launched seven private fashion brands, and is reported to be working on its own workout clothing brand as well. If you want to take your kitchen game up a notch, consider purchasing a top-quality mixer from Amazon. Perez said that the online superstore is a great place to get deals on pro-grade mixers. The KitchenAid product below is a good example and comes in a variety of attractive colors. If you're looking to expand your kitchen appliance collection, Amazon can likely hook you up with a quality food processor for less. Perez found that Amazon had the best buys on Cuisinart food processors, such as the one below. Fifty dollars in savings can translate to quite a few veggies to slice and dice. Dirt might be free, but it can cost a lot to get this substance out of your clothes. Luckily, Amazon beats the competition oncertain laundry detergent brands, said Perez. As an added bonus, you can get your super-sized detergent tub delivered right to your door, so you don't have to carry a heavy load home from the supermarket. Gone are the days when you had to visit an actual store — or pay full retail price — to decimate your virtual enemies. When it comes to gaming controllers, Perez notes that Amazon beats many of its competitors. Sony’s PlayStation controller is a great example. Sound is every bit as important as visuals when it comes to the gaming experience. Since quality tech can be expensive, it pays to shop hard for items like wireless headphones. Perez found that Amazon offers better deals than the competition onSony’s popular wireless headset brand. Buying quality HDMI cables can be an expensive proposition. While the ones that come free with equipment are often absurdly short, longer, better-quality cables can be absurdly expensive. But, said Perez, Amazon does a good job of mitigating the frustration. She found Amazon beat out competitors with its pricing for 6-foot cables and obliterated them on a comfortably long 25-foot cable. If you’ve ever shopped for diapers, then you’ve probably wondered if you could save money by wrapping your baby in dollar bills. Well, Amazon might be able to save your baby a bout of diaper rash, thanks to some good deals on diapers, said Perez. While she did find that Walmart and Target beat Amazon on certain brands, if you like Pampers, the online retailer is the place to go. Buying the batteries needed to power all your gizmos and gadgets can be anything but cheap. And while Perez found that certain brands — like Energizer rechargeable batteries, with a recharger — can be cheaper at places like Walmart, the popular Duracell batteries are often less on Amazon. Halloween is a scary time of year — not because of the witches and warlocks, but because of what the holiday can do to your wallet. Costumes in particular can be a big expense, especially considering they only get worn once. But, said Perez, Amazon might be able to take the terror out of this holiday, thanks to competitive prices on costumes and wigs. We all want to look our best, but sometimes beauty products can cause some ugly sticker shock. Fortunately, a little smart shopping can ease the financial burden. “Amazon seems to have the market beat when it comes to designer nail polish,” said Kerry Sherin of Offers.com. With the item below, you can score a professional-grade manicure at home for less. If you’re a photography purist, then you know capturing the moment on actual film can be expensive. Luckily, Amazon has affordable offerings to support film buffs. “Film for instant print cameras can be expensive as it is, but some retailers are selling the same product for nearly double the price of Amazon,” said Sherin, who went on to recommend the deal below. Sherin said Amazon is ready to pump you up — and for less than the competition. “If you are into fitness and working out, then you know supplements can get expensive. Amazon was found to be consistently the cheapest option,” she said. If you live by your smartphone, then you probably know how important it is to have a reliable phone charging cable. There’s nothing worse than a cheap one that breaks after a few bits of current. “The Amazon-brand cords are not only of high-quality materials, but also come at an affordable price. While you might be able to find a cheaper cord out there, there isn't one that can match the price and quality of what Amazon offers,” said Sherin about the below pick. 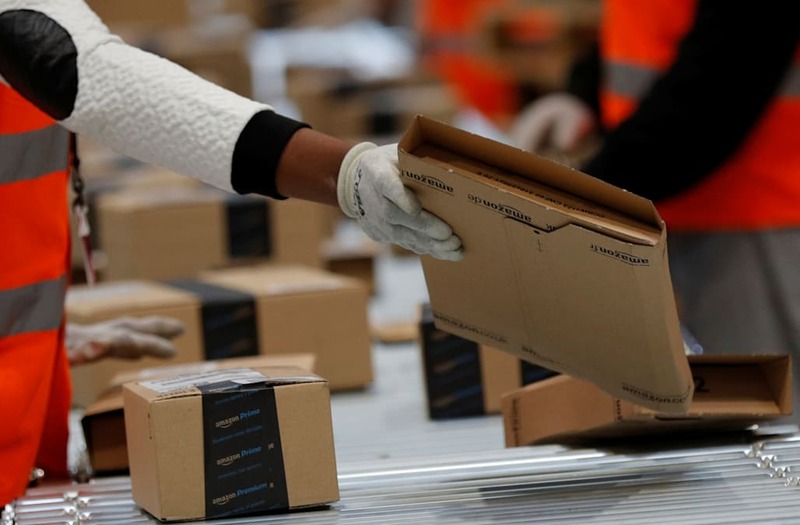 In one of the job openings for Amazon Fashion, the company describes its mission as becoming "the primary destination for customers buying Softlines product in the US." It remains to be seen how Amazon's strategy will work in the women's intimate apparel space. As the WSJ points out, customers still prefer trying on the products before making the purchase, and may question the product's quality especially given its low price. 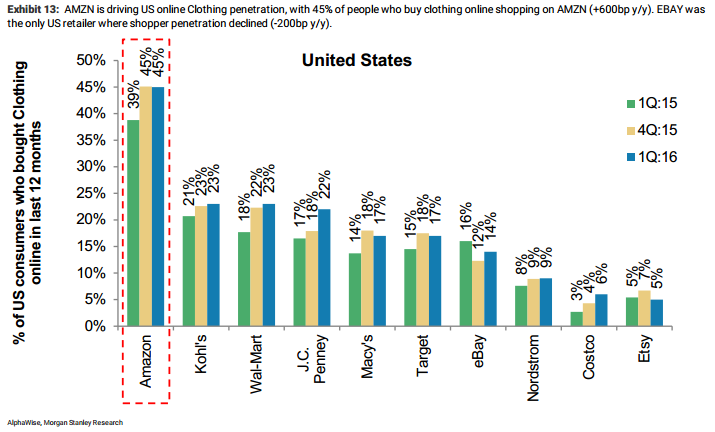 Still, there's a lot to like about Amazon's chances: clothing has the highest online penetration among all shopping categories, and Amazon already holds a distinct lead compared to its competitors in the online fashion market.